EXCESSIVE HEAT WATCH, HEAT ADVISORY AND EXCESSIVE HEAT WARNING- WHAT IS THE DIFFERENCE? With the most recent heat wave, you may have heard the terms Excessive Heat Watch, Heat Advisory and/or Excessive Heat Warning being used by meteorologists on the news. While these terms may seem interchangeable, it is important to understand the differences between the terms so you can be best prepared for the extreme weather ahead. Excessive Heat Watch- This is when conditions are favorable for an excessive heat event to meet or exceed the Excessive Heat Warning criteria within the next 1-3 days. Heat Advisory- This is when the Heat Index values are forecasted to meet locally defined advisory criteria for 24-48 hours, with daytime high temperatures of 100-105°F. Excessive Heat Warning- This is when the Heat Index values are forecasted to meet (or exceed) locally defined warning criteria for at least 48 hours, with daytime high temperatures of 105-110°F. 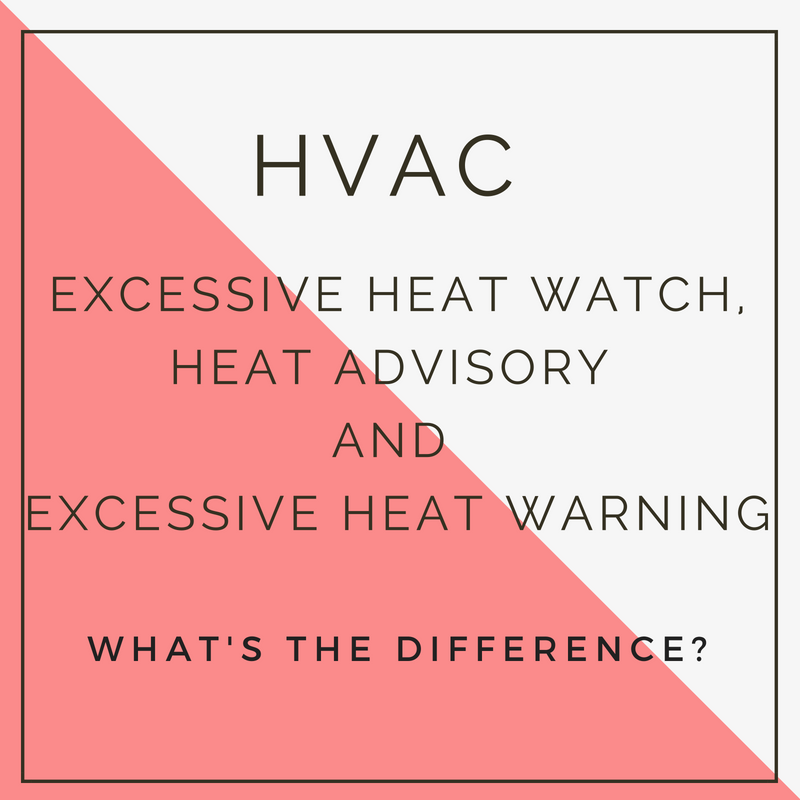 The extremely high temperatures that come with heat waves can be very dangerous and is therefore important to know and understand the differences between these three terms. If you have any issues with your air conditioning this summer, please give our company a call at 610-642-6323 to schedule an appointment. We also offer 24/7 Emergency Service if your air conditioning system fails after business hours.